Choosing your wedding guest dress is hard enough at the best of times. In fact, choosing what to wear in the mornings is a struggle, let alone having to dress for an occasion where you suddenly lose all concept of what ‘appropriate dressing’ actually means. Not surprising then that one Reddit user called honeycomehome, used the forum to ask whether her dress choice was ‘too white to wear as a guest to a wedding?’. In a case of ‘The Dress’ 2.0, the item is question is, to our eyes, very much of the floral variety. 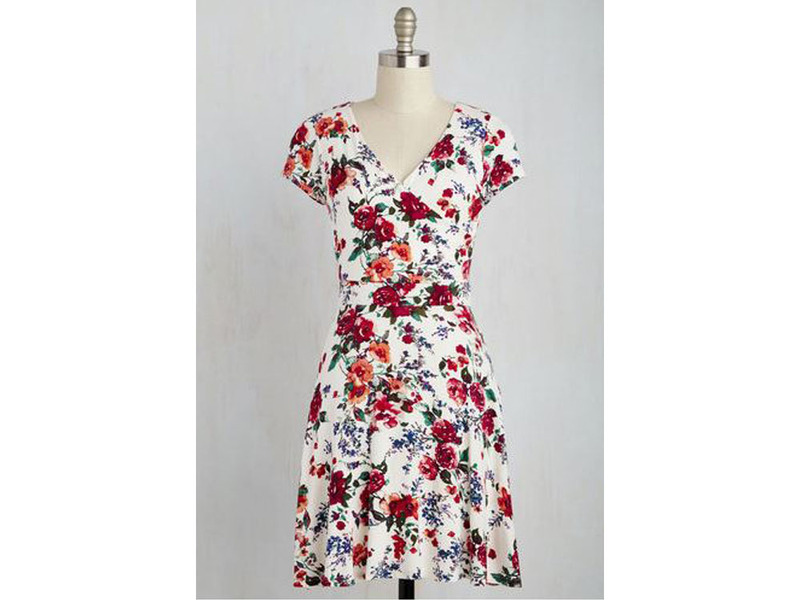 We’d go far as to say that the dress from Modcloth, which is intriguingly described as a ‘Botanical Breakfast Dress in White Bouquet’, was 70% floral, 30% white*. However, Reddit users were not so sure. ‘I always say if you have to ask then yes it’s too short, too white, too tight, etc’ said one user. ‘If you have to ask… Probably.’ Said another. However, some users saw sense: ‘I see it as a floral dress rather than a white dress,’ one commenter wrote. ‘Not at all. This whole “no white, not even a thread” thing is so out of hand,’ another agreed. ‘It’s expanded from “no white”, to “avoid cream, champagne, blush, white, off-white, patterns with white, black and white…” and so on,’ explained one user who basically summed up the trials and tribulations of planning a wedding (ok, your wardrobe) that’s not even yours.